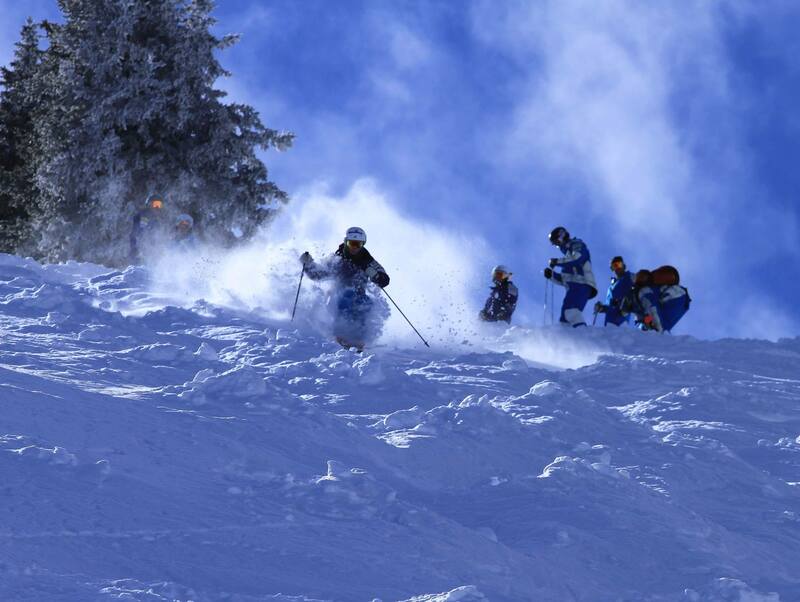 The U.S. Freestyle Mogul Team training at Wolf Creek Ski Area in November 2013. Durango Mountain Resort, or the artist formerly known as Purgatory, said it will open for the 2014/2015 the day after Thanksgiving, i.e Nov. 28. That means you can spend Black Friday on the slopes instead of shopping! As it should be. Wolf Creek Ski Area has Friday, Nov. 7, marked on its calendar as “Tentative Opening Day! !” The resort in Pagosa Springs, about an hour east of Durango on U.S. 160, has already reported several inches of snowfall during its first storm Sept. 29-30. This local favorite doesn’t seem to have published a possible opening day — yet. We’ll keep our eyes peeled and keep you posted. If you know something we don’t, please feel free to let us know in the comments! In the meantime, just a reminder: Hesperus Ski Area is located 11 miles west of Durango and offers nighttime skiing on its slopes (80 percent of which are lighted). Make Durango your home base for all your southwest Colorado ski adventures and stay with us at the Durango Quality Inn.